It took me awhile to decide on what recipe I was going to include in my first post but when it really came down to it, there was really no other choice, it had to be my bread. This is probably the recipe I am most famous for and I make it a lot. 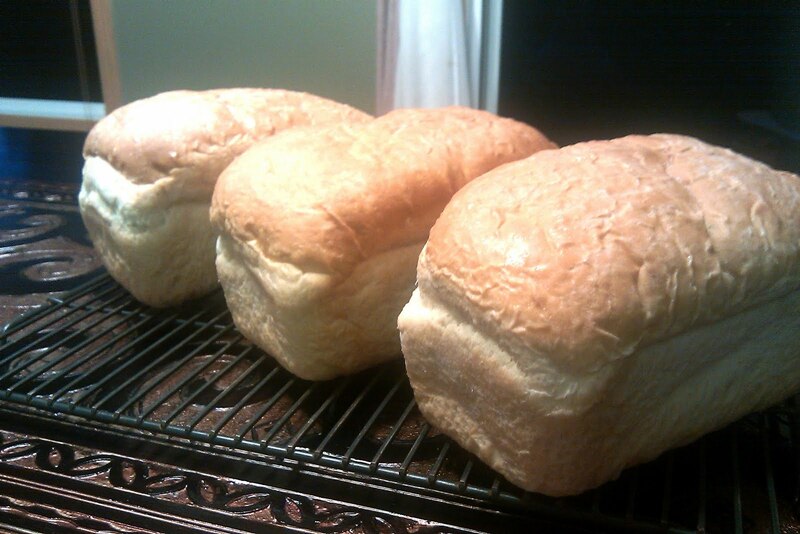 People always seem to be surprised to hear that I love to cook and even more so that I make all my own bread. We haven't bought store bread now for at least a couple years. I primarily make loaves out of this bread but it is such a versatile recipe. I make dinner rolls, cinnamon rolls and scones out of it quite often as well. For the ingredients that are in it, it is also one of the cheapest breads to make as it doesn't use milk or eggs and yet it is still so great! For the last few months I have had the desire to start writing about the food that I cook. I have always enjoyed cooking and sharing that food with friends and family. Most of my early cooking and baking was done along side my Mom. She recently moved to Connecticut and has begun experimenting with the local foods and recipes of their new area. After talking with her, we felt it would be a great experiment to bring together our ideas and experiences into a joint blog.